It’s Friday night fight night this week as WBO middleweight champion Demetrious ‘Boo Boo’ Andrade makes the first defence of his title when he takes on Artur Akavov (19-2, 8 KOs). Andrade won the belt by beating Walter Kautondokwa for the vacant title after champion Billy Joe Saunders vacated due to facing a ban for an adverse drug test. The 30 year old Andrade (26-0, 16 KOs) will be looking to put on a show at the Madison Square Garden Theater on a card that features several title bouts. The 33 year old Russian, Akavov, beat Gonzalo Gaston Coria by unanimous decision in May 2018. He is a former WBO European champion and has faced former champ Billy Joe Saunders, falling to an unanimous decision defeat in 2016. Andrade will be looking to put on a good performance to open up the chance of unifying the division against the likes of Canelo Alvarez, Rob Brant and Daniel Jacobs. Irishman TJ Doheny (20-0, 14 KOs) defends his IBF super bantamweight title when he takes on Japan’s Ryohei Takahashi (16-3-1, 6 KOs). This will be Doheny’s first defence having won the belt in August last year by unanimous decision against Takahashi’s compatriot, Ryosuke Iwasa. Takahashi is on a 5 fight win streak which includes winning the IBF Pan Pacific super bantamweight title. The third world title fight on the card will see Amanda Serrano (35-1-1, 26 KOs) bid to become world champion in a 7th weight class. Serrano will face Era Voraberger (24-5, 11 KOs) for the vacant WBO super flyweight title. The Austrian, Voraberger has also won a couple of titles at different weight classes. Also on the card, and likely to be chief support to the main event is the ever popular Jorge Linares (45-4, 28 KOs) who is on the trail of another world title shot. Linares takes on Mexican Pablo Cesar Cano (31-7, 21 KOs). Both men will be fighting for Cano’s WBC International Silver title. Another former world champion Chris Algieri (22-3, 8 KOs) faces Daniel Gonzalez (17-1, 7 KOs) on the card. The event will be shown live on DAZN in the U.S and on Sky Sports in the UK. 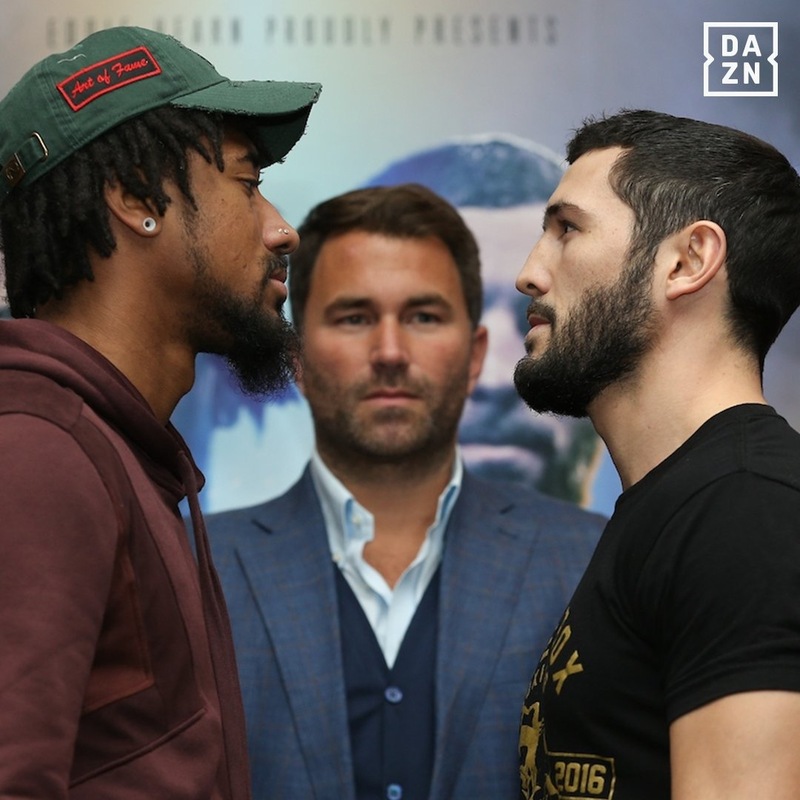 The post DAZN Boxing Preview: Andrade vs. Akavov appeared first on BoxingInsider.com.